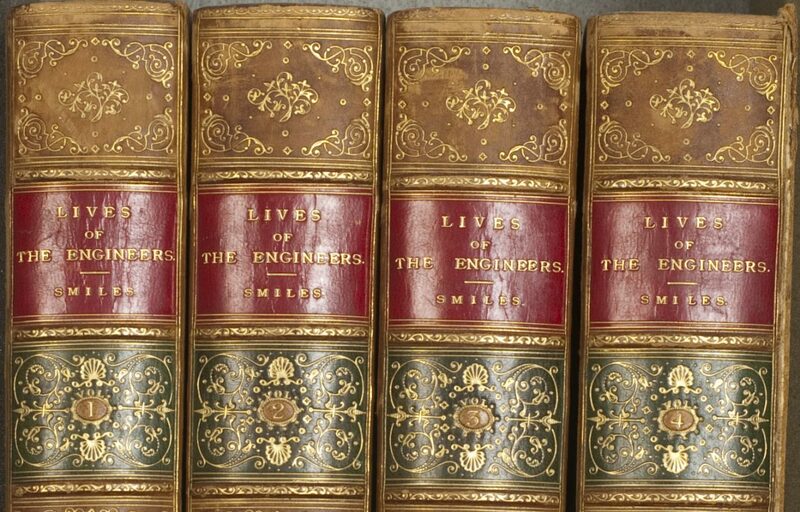 We have decided to call the entire field of control and communication theory, whether in the machine or in the animal, by the name Cybernetics, which we form from the Greek [word for] steersman … we also wish to refer to the fact that the steering engines of a ship are indeed one of the earliest and best developed forms of feed-back mechanisms. 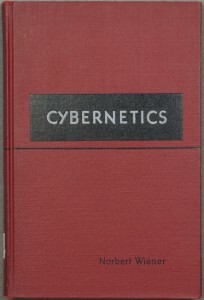 The idea of cybernetics would have far-reaching effects on the development of multiple discourses in the 20th, and now the 21st, centuries, including game theory, bioengineering, political science, computer science, and information theory. 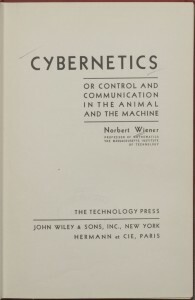 Cybernetics touches on many topics, and demonstrates the range of Wiener’s interdisciplinary interests, which included such fields as mathematics, engineering, biology, and philosophy. 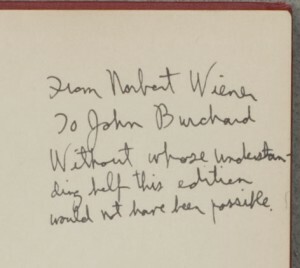 In a note at the end of the book, Wiener touches on “the question whether it is possible to construct a chess-playing machine, and whether this sort of ability represents an essential difference between the potentialities of the machine and the mind.” He goes on to describe such a machine in terms of cybernetics, and closes with the statement that “it might very well be as good a player as the vast majority of the human race.” Right he was: in 1996 the IBM computer Deep Thought defeated the reigning world chess champion Garry Kasparov. And 2011 saw the defeat of “Jeopardy” champions Ken Jennings and Brad Rutter by the IBM computer Watson.